Choose us today and get reliable conservatory cleaning in London – 97% positive feedback means we're the company that londoners trusts. We’ll use our special water-fed pole system for the exterior and traditional squeegee and ladder combination on the interior to thoroughly cleanse your conservatory inside and out. Make the most of our seasoned, British Window Cleaning Academy-certified window cleaners now - we take bookings all day, every day! Special rates for regular customers: get a DISCOUNT of up to 45% by using us frequently! Efficiency and effectiveness: we’ll be out of your hair ASAP! Purified water is used to ensure the removal of all dirt, chemicals, minerals and previously applied detergents from your windows. With consistent use the water will have a sterilising effect. The exterior of your conservatory will be cleaned using our water-fed pole system – a 23m pole is attached to a water supply in our van, this water is then pumped from the tank, through the hose where it's purified, and up the inside of the pole until it jets out the brush-head. The brush-head is moved back and forth across the surface of your window until all the dirt is washed away. Your windows will be given a final rinse and then left to dry naturally to prevent smears. The interior windows of your conservatory will then be cleansed using a squeegee, and a ladder if necessary. Using this service every 2-3 months guarantees your windows will be kept in pristine condition! 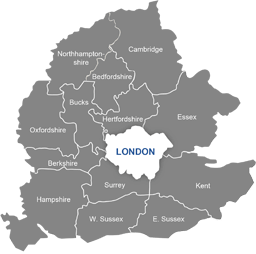 Every single London Window Solutions window cleaner has been fully vetted, insured and professionally trained. We’re dedicated to providing you with a completely stress-free experience. To make sure we consistently achieve the highest standards you demand, we utilise expert quality control supervisors. The team's work gets regularly checked, and each one of the staff members has had their work approved by the British Window Cleaning Academy. 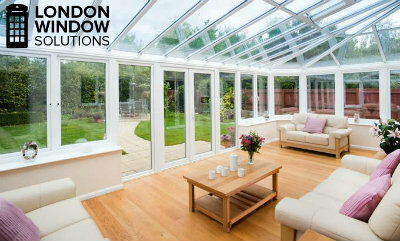 Get Conservatory Cleaning in London Over the Phone or Online! You can use our online booking form or chat facility to get a free instant quote with ease. But, if you'd prefer to speak to someone about conservatory cleaning, you can call us 24/7 - on 020 3746 2532. Our customer care team will be able to provide you with a quote personalised to your exact requirements, as well as the answers to any questions you might have.